During July 21-23, Prof. Jin attended International Symposium on Inorganic Membranes (ISIM6) hosted by National Taiwan University in Taipei, China. 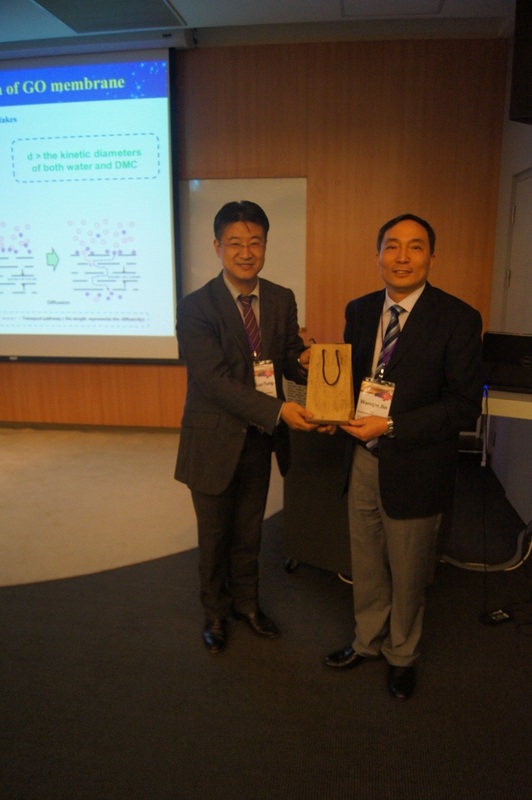 He was invited to give a lecture on “Graphene oxide-based membranes for molecular separation”. Recently, graphene oxide (GO)-based membranes have been demonstrated to be effective for gas and liquid separation. This presentation showed our ceramic-supported graphene oxide membranes with fast and selective water channels for highly effective pervaporation dehydration of aqueous organic solution. In addition, we also developed membranes with well assembled GO laminates which provided molecular sieving gas channels for efficient CO2 separation. It is expected that GO based material is promising for membrane based process, including PV dehydration and gas separation. Meanwhile, our ceramic-supported technique endows GO membranes greater potential for future practical separation applications. 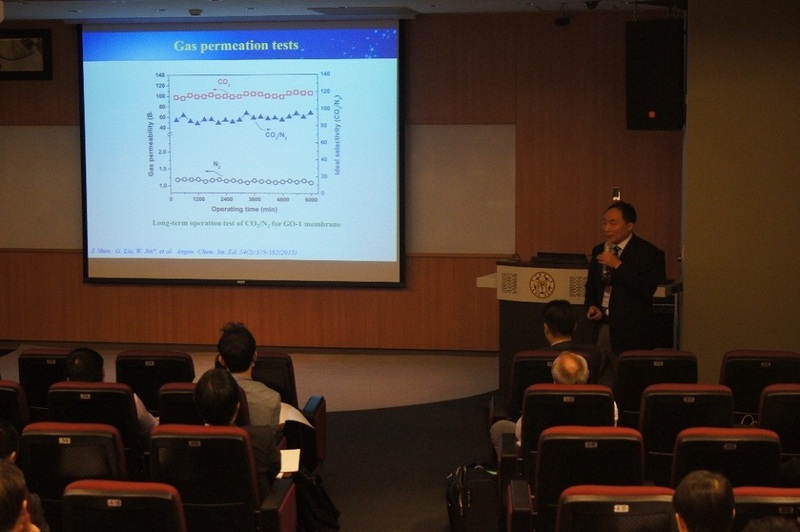 Prof. Jin was giving an invited lecture in ISIM6. Prof. Jin was receiving an award.